Performance, durability and smooth handling – GROHE Eurosmart Cosmopolitan is a product line made to meet sophisticated demands. A quick wipe with a cloth will make the chrome surface sparkle like new and thanks to the cutting edge ceramic cartridge the lever moves with smooth precision. Opening and closing the waste is easier than ever with the pop-up rod. 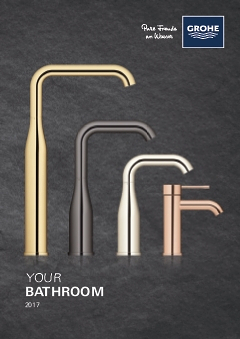 Choose Eurosmart Cosmopolitan bathroom tap and enjoy our trusted GROHE quality!